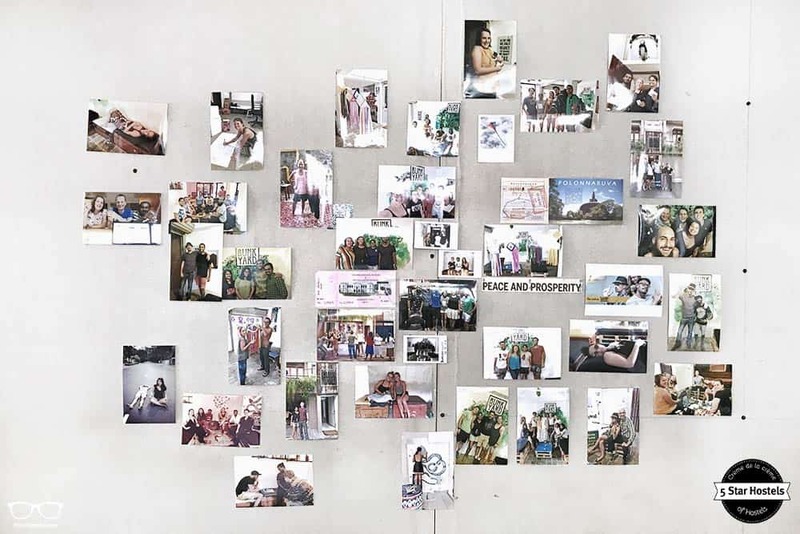 Stylish, fresh, hipster, but most importantly, with a friendly soul - welcome to the Bunkyard Hostels in Colombo, Sri Lanka. Your Sri Lanka adventure kicks off in Colombo. And we found the perfect hostel to get your Sri Lanka groove going. 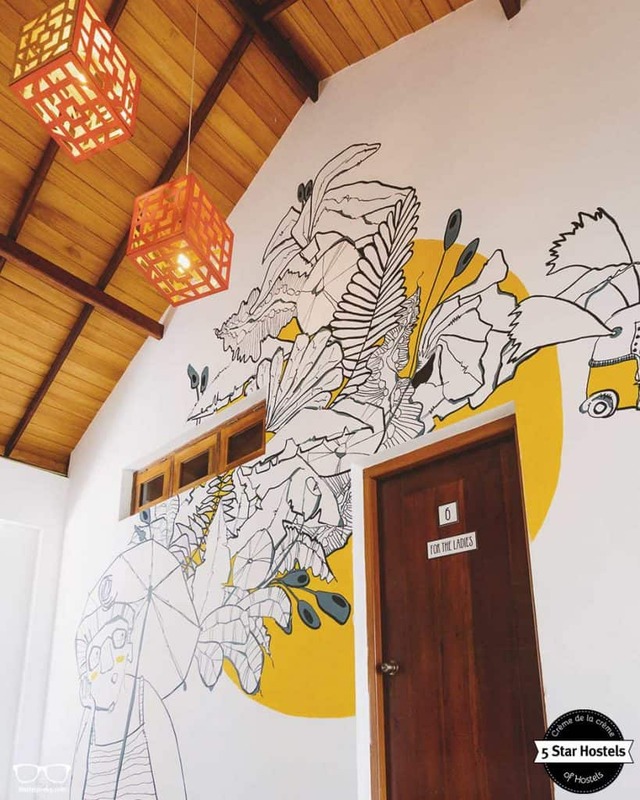 You just found our #1 recommendation for best hostels in Colombo. Genuinely, Bunkyard is the accommodation we recommend to our friends, family, and to you! You will like it! Planning to stay at Bunkyard? Please use the links provided above. 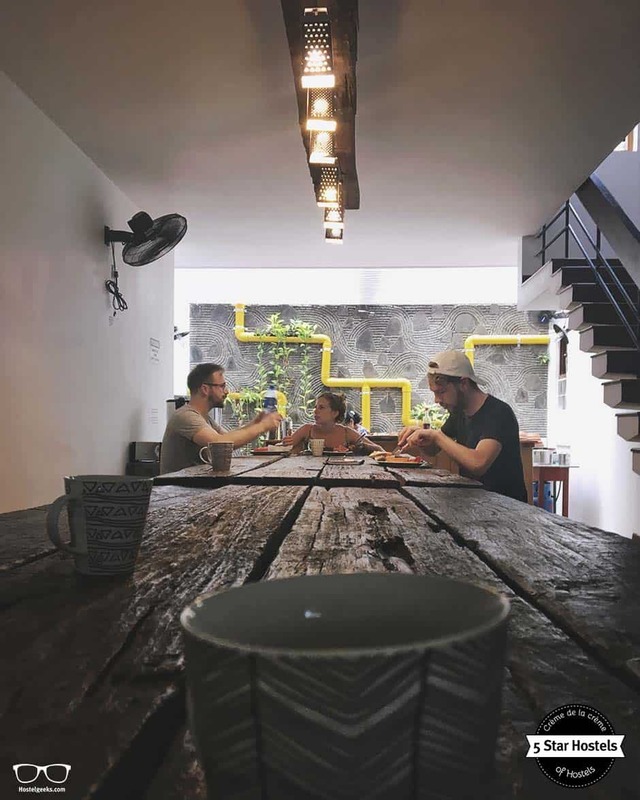 Bunkyard Hostels is in the center of Colombo, in the area known as Colombo 07, which has the ideal mix of a highly residential and commercial zone. Within a 1KM radius walking distance you will find over 20 restaurants, cafe’s and bars. An ATM is just down the road. All the buzz and activity of the capital is located within walking distance or, even funnier way to reach it, a short Tuk Tuk ride. The city biggest attractions such as the National Museum, Independence Square, Viharamahadevi Park and Gangarama Temple are also easy to reach. 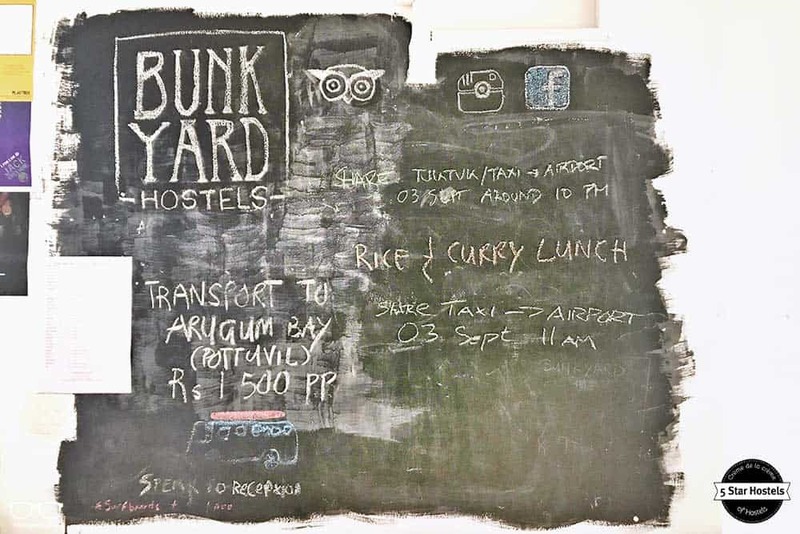 We visited Bunkyard Hostels, and share in detail why this hostel will make the start and end of your Sri Lanka trip unique. Follow in our footsteps, and let us know how much you enjoy it. It is one of the best hostels in Colombo, and with no doubt, on top of the game. 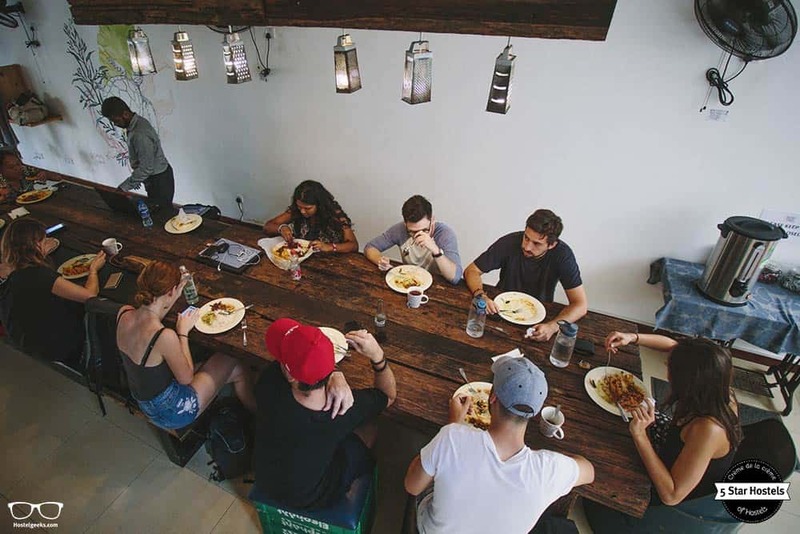 Find all best hostels in Sri Lanka here. This list will help you to plan your travels around backpacking Sri Lanka. We even included a map in the guide with the best backpacking itinerary in Sri Lanka. Since all flights to Sri Lanka arrive in Colombo, everybody starts their country trip here. And yet, many travelers skip Colombo as the first stop. We heard lots of travelers saying. But actually, they missed out on the perfect starting point and a bustling capital city. We arrived at Bunkyard Hostel on a Friday night. We chose the pick-up service from the hostel, so they picked us up on the airport and drove us over. We noticed the building right away. It’s a tall, dark building with outdoor lighting, an open space in the front door and a big sign saying Bunkyard Hostels. 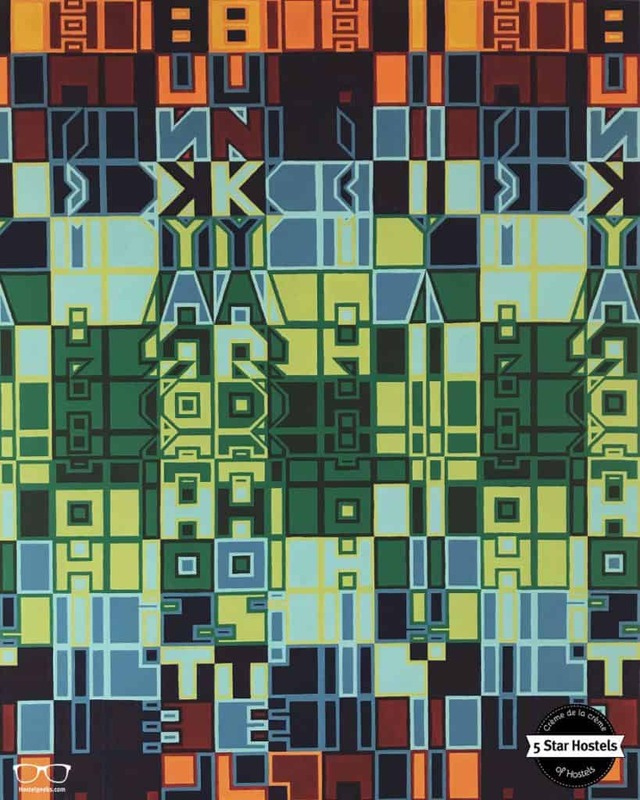 The exterior gives us a sneak peek of what to expect from the interior design. 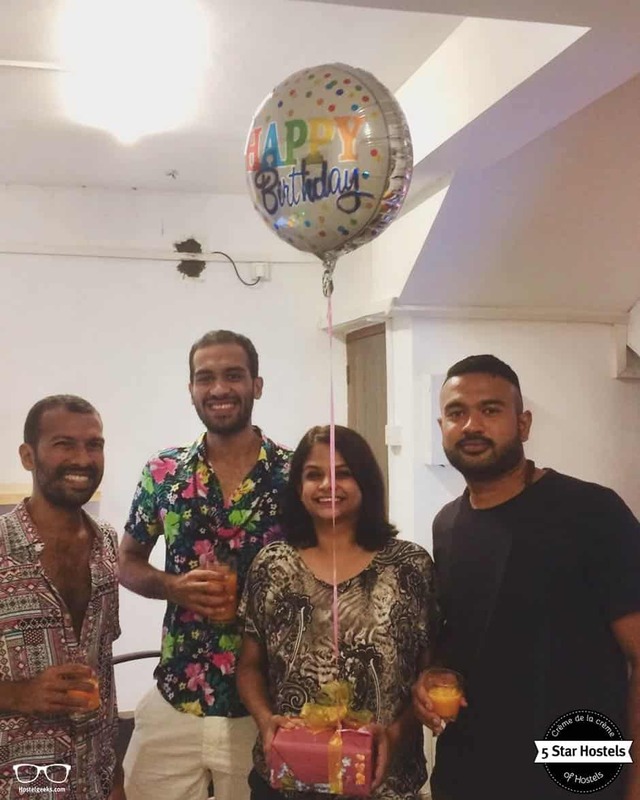 All were either travelers who had just arrived to the country and were about to explore the gems of Sri Lanka, or travelers who had just gotten back from a 2-4 week trip. Mix this with the passionate team who are travelers themselves, and you won’t need to pack a guidebook with you. All the preparing we did for this trip was almost useless. We could have just walked in, and listened to other travelers for 10 minutes. We’d definitely come to the right place, no question about it. 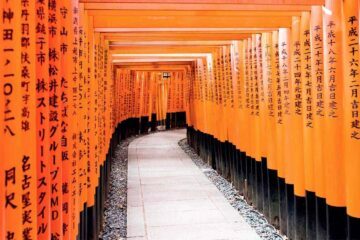 The most secret places, the ones only a few travelers are lucky enough to discover, were revealed by the staff. There’s no better way to discover hidden gems than to listen about where locals travel on their days off. Colombo is a big city and there’s a lot to discover. In our opinion, just about any location near the city center is great. We would skip staying nearby the train station, as it’s the most common area for scams. Of course, in every big city you might experience scams, but they’re mainly concentrated on the busiest, most crowded areas of the city. If you avoid those areas, you’ll avoid lots of scams. And if you stay at Bunkyard, they’ll explain the main scams to you and how to avoid them. You can also head to the National Museum, it is just around the corner. Bunkyard’s location is truly fantastic! 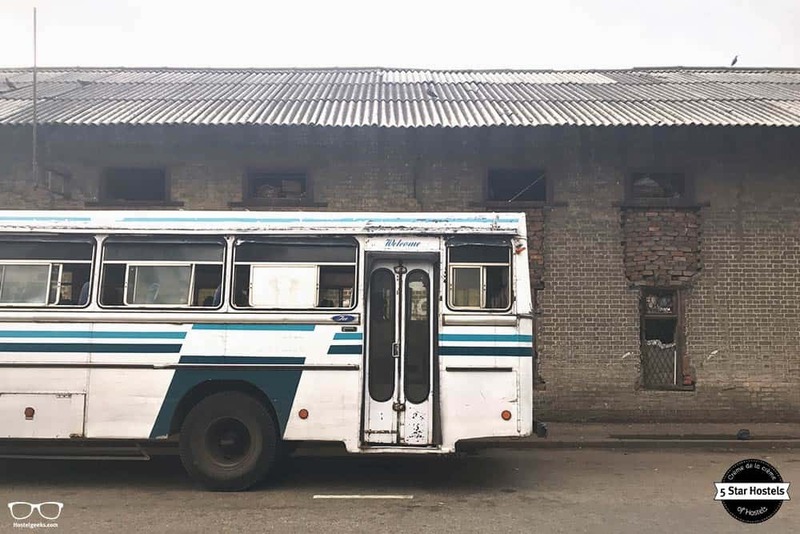 Jump on a local bus to get to the city center for less than 0,50 US$. The bus station is only 5 minutes’ walk from BunkYard. Hop in one of the tuk-tuks waiting in front of the hostel. Tuk-tuks are a cheap, and fun, way to get around. However, make sure you follow a few rules before you jump in the tuk-tuk. First, ask the driver the approximate price to take you to your destination. Before getting in, make sure that the driver will use a taximeter. This ensures you’ll get the fairest price when moving around Sri Lanka, including in Colombo. The Bunkyard staff showed us a great trick If you want to avoid any arguments over price. Make sure you download and use the app PickMe. It’s like a taxi app that works perfectly in Colombo and other places in Sri Lanka (but mostly in Colombo). You choose the pick-up point and the destination, and you’ll get an approximate price. Once you confirm, the tuk-tuk will come – always with a taximeter. The price on the taximeter is the price of your ride. You’ll only need an internet connection when you request the taxi. If you have any questions, just ask the staff to help you. Our own experience: Only once in our whole month in Sri Lanka did a tuk-tuk driver overcharge us, only because we got too relaxed! You can do better! 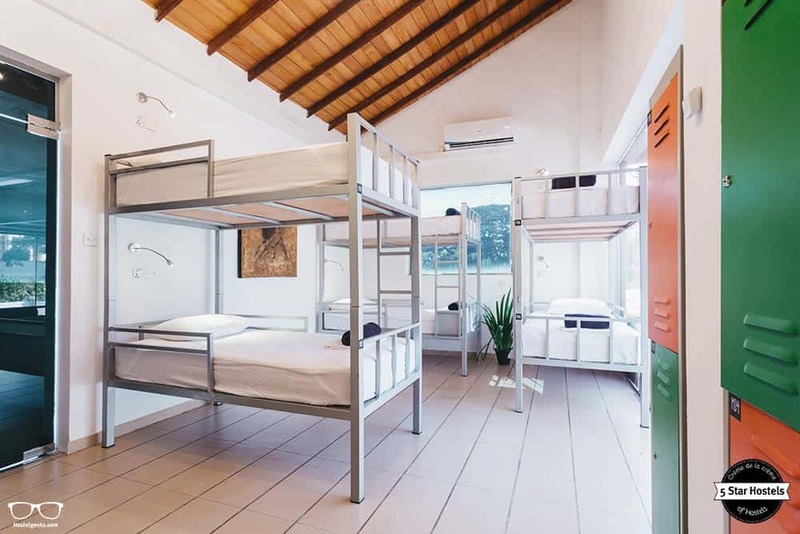 Read: our full overview about hostel room types. All dorms are spacious and include a locker. We always recommend bringing a lock with you on your travels. The bathrooms for the dorms are located outside the room. If you arrive late, make sure you follow the unwritten rules for hostels and don’t disturb your dorm mates. Sri Lankan hospitality is something really special, and Bunkyard does a great job at it. It all starts with your breakfast. Samanthi will prepare a fresh, delicious, and traditional breakfast for you. She’s an excellent cook! It’s like having your grandma cook breakfast for you, a total luxury when traveling. Make sure to tell Samanthi if you want your food spicy or not. Sri Lankan food is spicy. Really, it’s SPICY! If it isn’t spicy, than it might be for tourists! If you can’t handle spicy food, you should always say you want your food not spicy. That makes it even better, right? Another thing many travelers love about Bunkyard is their lunch. For less than 2US$ you can get tasty, home-made food, and you’ll even be able to go back for seconds. We heard that lots of travelers just hang out at Bunkyard until lunchtime so they don’t miss it. No kiddin’, we actually saw it. And to be really honest with you: we did just the same and waited to lunch time! It’s so gooooood! And we tried it ourselves – it’s delicious! 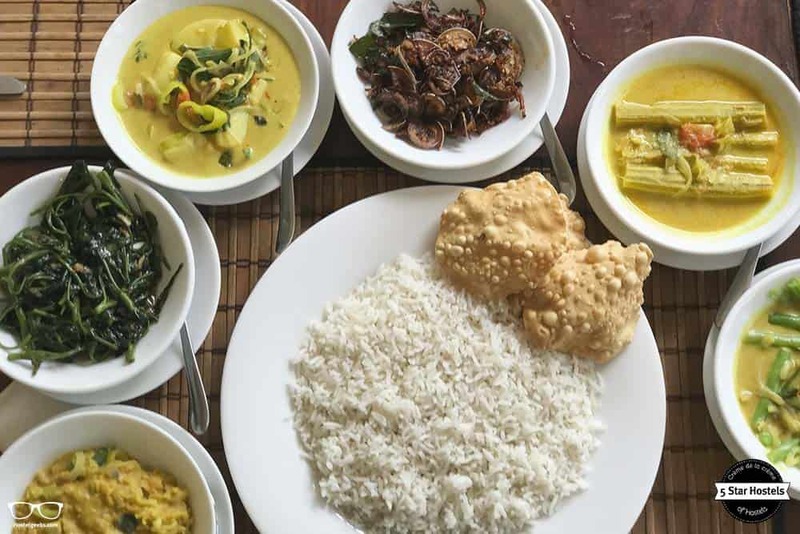 If you’re curious about how Sri Lankan people cook, you can even help Samanthi prepare the family lunch. Just head to the kitchen around 12 and offer your help. 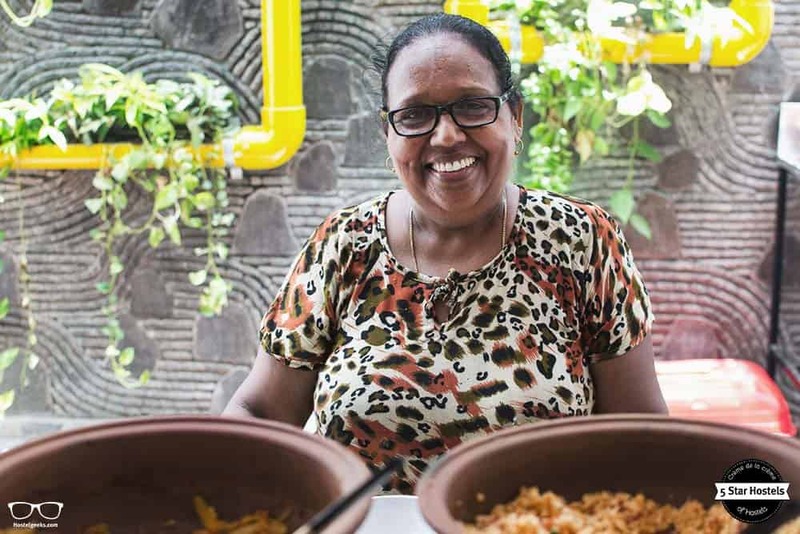 She’s so lovely, and will show you so many things about Sri Lankan cuisine. 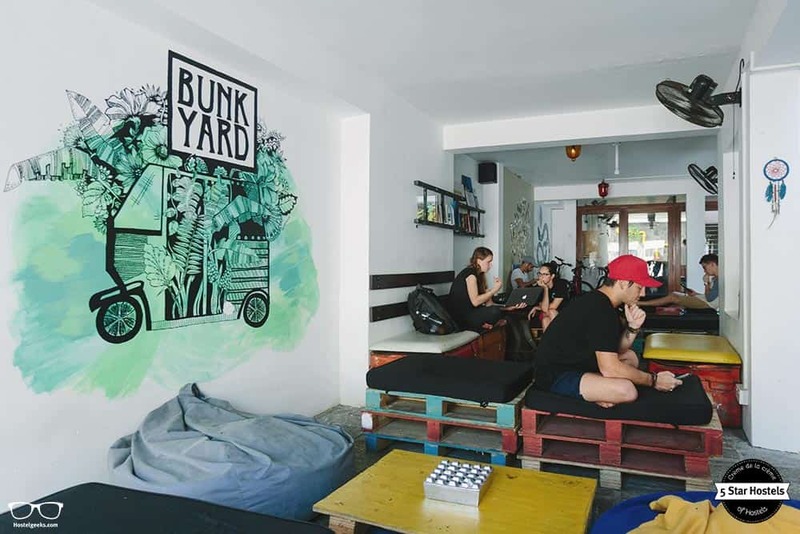 At Bunkyard, they also care about the hostel’s vibes. That’s why they love to host social events, like pizza night and beer parties. They get very creative and the events change up all the time, so make sure you follow them on Facebook to hear about their upcoming events. While we there there, they had pizza and beer night. In Sri Lanka, there is a strict law that bans commercial establishments from selling liquor or beer. Alcohol can only be served for special events or in special places. That’s why you won’t be able to buy alcohol at Bunkyard. Fear not, there’s a wine store nearby (just ask the crew for the directions). You can buy alcohol here and bring it to the hostel, but please do keep the receipt, just in case there is an inspection. The design is hipster and modern. 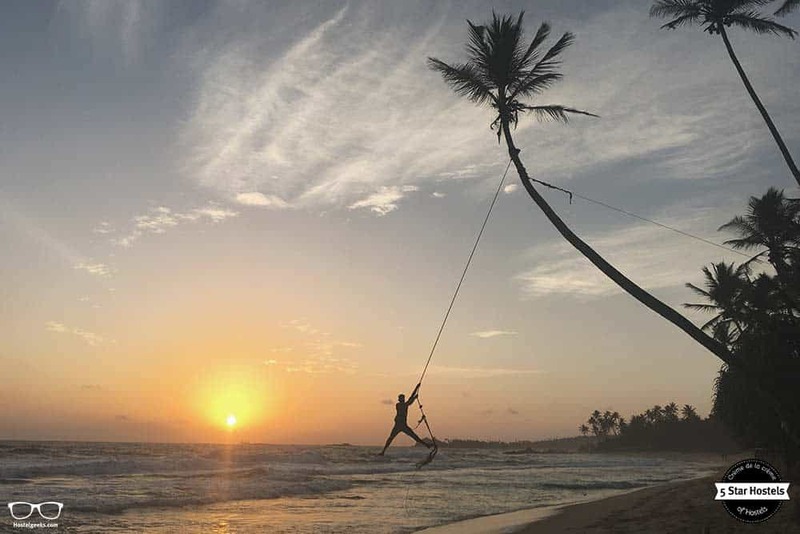 You’ll notice it in all the details – they like to do things differently in Sri Lanka. 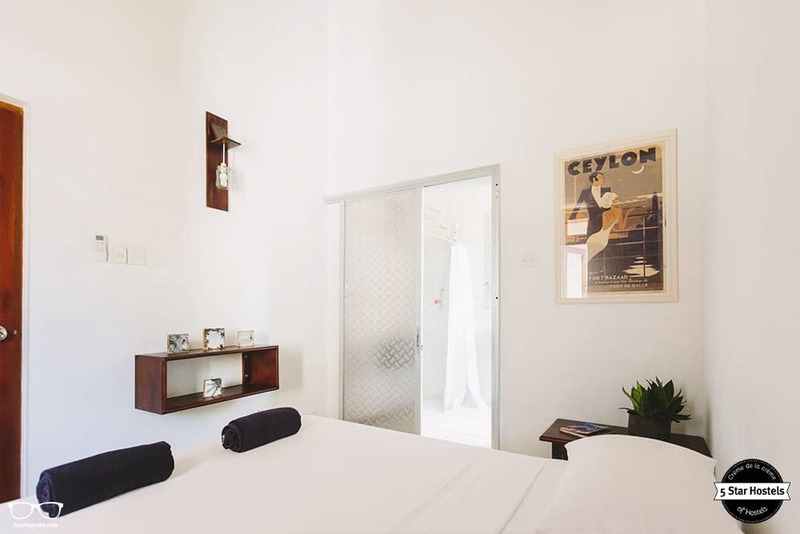 Sri Lanka is still a very traditional place, but Bunkyard wants to give it a breath of fresh air, combining tradition with new travelers’ needs. They do even have a pop up store! 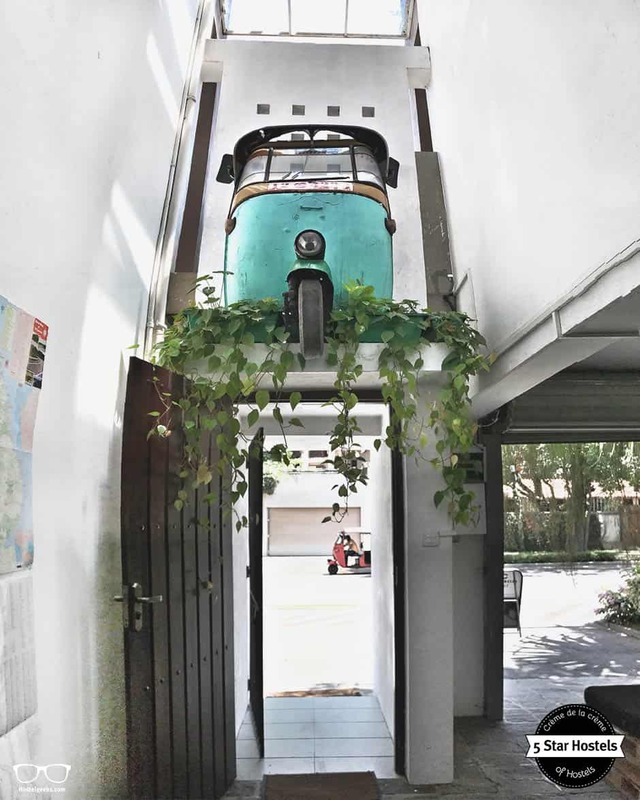 You can see this in everything from their design, which include an actual tuk-tuk in the common area, to their music playlist, which is hand-picked with love by Revan, a well-known DJ at many Colombo parties. Do you love having a special soundtrack for your travels? 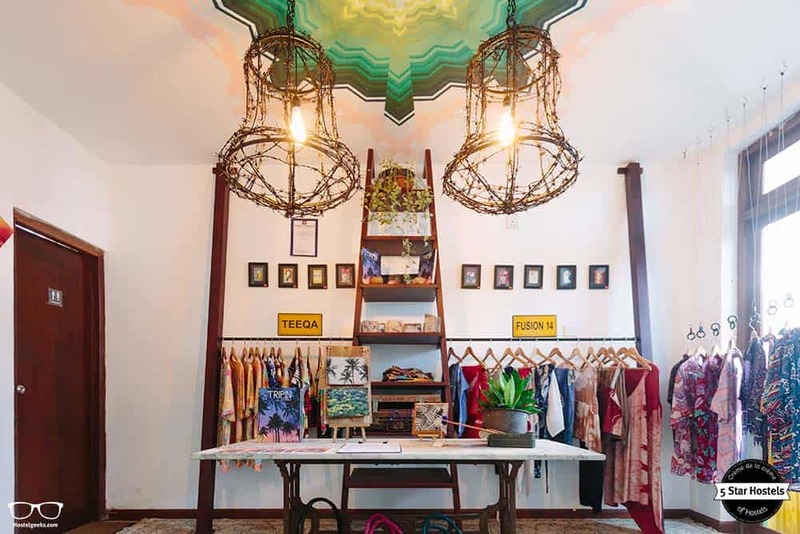 You’ll notice that they like to include their personal style all around, like graffiti on the walls, cozy, upcycled sofas in the common area to meet other fellow travelers and a big, communal table to have breakfast or eat together as a big, fun family. As they want to ensure that hostel guests talk to each other, they only have WiFi in the common area. There’s no Internet in your room, so just go down, join the crowd, and start a conversation about the music, the design, or your future travels. You might find a travel buddy in the room! Surprisingly, the most beloved dorm is the biggest one, the 12 bed dorm. Hostel guests confirm it’s comfortable and it must also be pointed out that dorm comes with a balcony. We stayed at the private rooms and the dorms – both options are fantastic for solo-travelers, couples and groups! All the members of the team should wear stickers, saying “The Ultimate Guidebook to Sri Lanka”. The team and the owners Eshan and Revan love their country so much, which you can hear in every single recommendation they give you. They are so passionate about traveling that they glow with happiness just by being surrounded by travelers. You’ll definitely meet Iresha, who left her corporate job at a bank to join the Bunkyard team. Sri Lankan people in general have a deep passion for their culture and landscape in a very healthy, refreshing way. The eyes light up when they talk about traveling in Sri Lanka. Everybody on the team speaks perfect English and, as we mentioned, knows the country like the back of their hand. The staff loves to mingle with the guests in a way that makes you really feel at home. Sri Lankan hospitality is truly outstanding. Samanthi and her smile, she will be your hostel mama! Sum it up: Bunkyard Hostel rocks! Bunkyard Hostel is a really special place. – and all of that in a design-led environment. It is seriously the best starting point for your Sri Lanka experience. 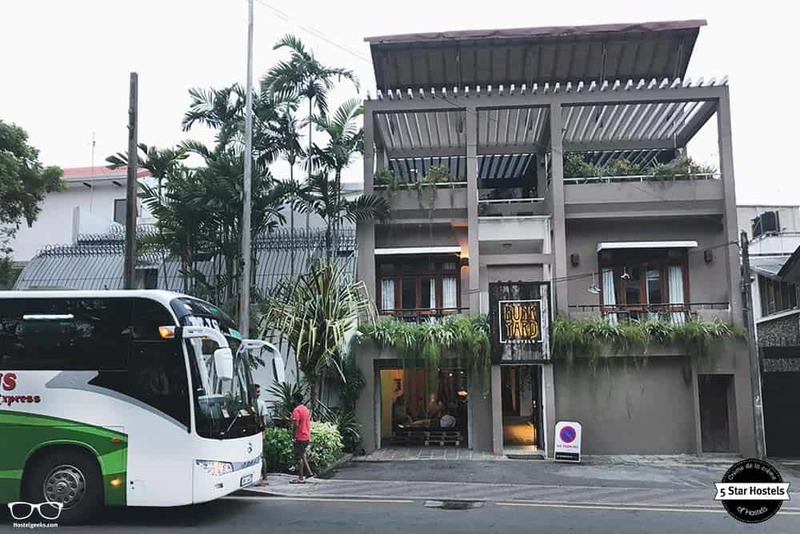 Don’t miss out this hostel, this city and the opportunity to plan your trip first hand! Are you thinking of skipping Colombo on your Sri Lanka trip? We know many people do just that. And we get it! Sri Lanka is such an interesting place with amazing landscapes that a city might seem boring in comparison. However, we think it is a mistake to skip Colombo. Apparently, many blogs talk about Colombo as not being especially interesting. 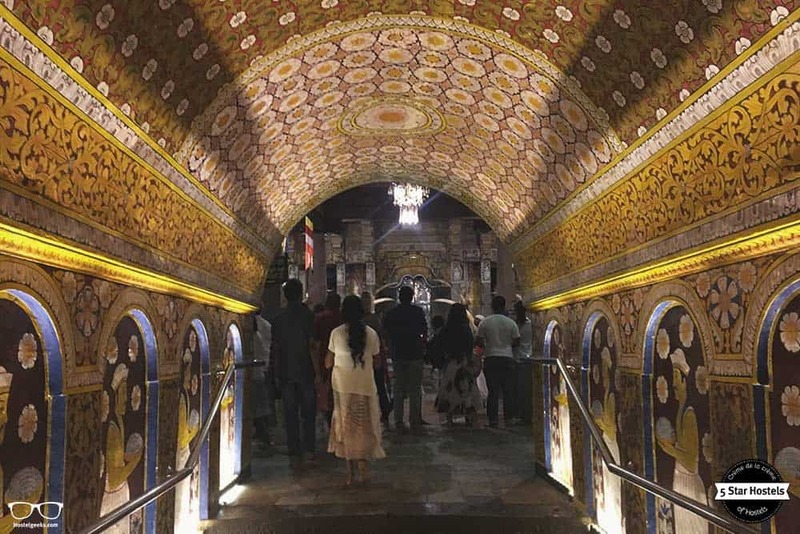 Colombo is a vibrant city, and it’s so different from the rest of the country. This is why we recommend you stay at least one night in Colombo. You’ll be able to experience the big differences between the countryside, the villages and the big city. Another big advantage is obviously staying at Bunkyard. 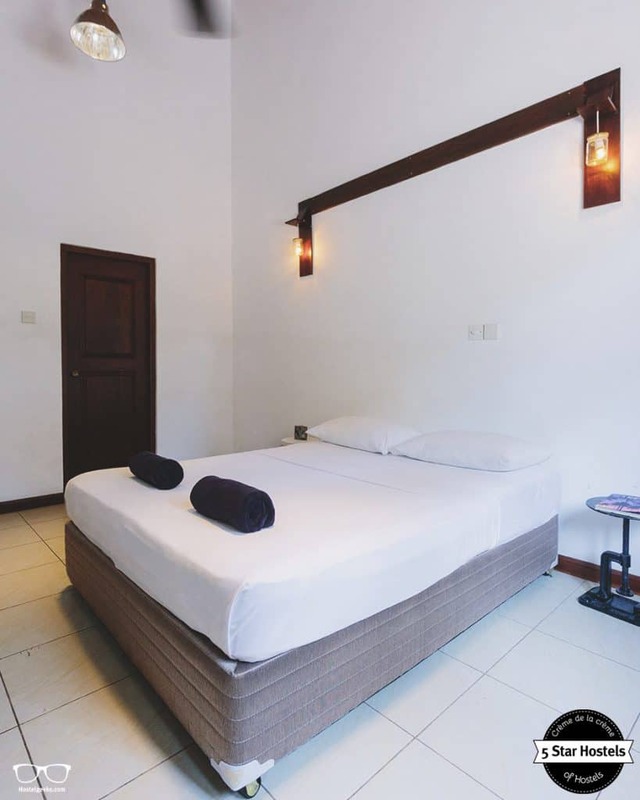 That’s not only because it is one of the best hostels in Sri Lanka, but it’s also because you can plan your Sri Lanka itinerary perfectly with first-hand experience! The Team: the staff at Bunk is incredibly passionate about their country, like many Sri Lankan people we met. They’ve traveled all around and so can give you great information! Wondering whether to skip or add a place? 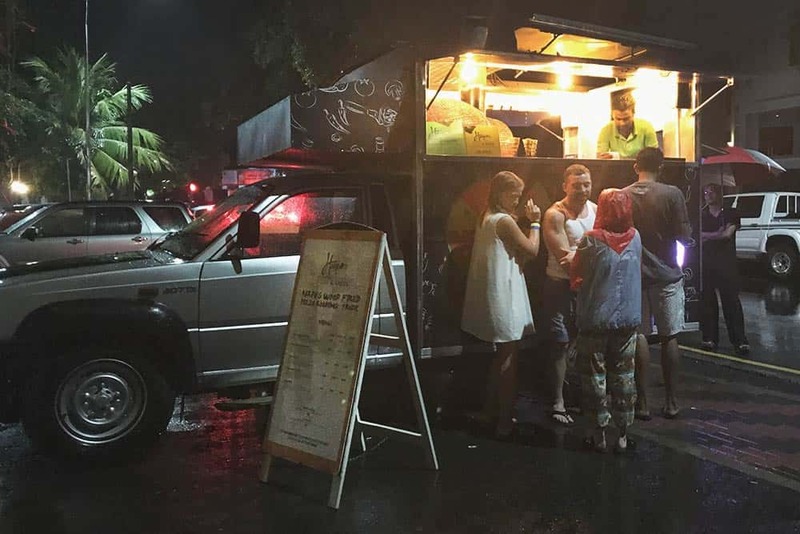 Ask them, they not only have their local experience but all the travelers’ feedback. This is an incredible source of information! The travelers: Many travelers staying here just finished their Sri Lanka trip. Ask them all about it! They can give you awesome, fresh, and up-to-date travel tips. Their tips are probably better and more recently updated than your guidebook or blog posts. So, include at least one night in Colombo. It’s worth it! Most people just stop in Colombo to buy train tickets. They don’t spend a minute more than necessary. But they’re missing a lively city, as well as a chance to see how the capital is developing. There are some things you shouldn’t miss in Colombo. This is a fun, fast, and convenient way to move around the city. Take a tuk-tuk and get to see the city through a different perspective. You might have heard about floating markets in Bangkok, but there is also a floating market in Colombo. Be prepared for strong smells and big crowds. Make sure you go early. 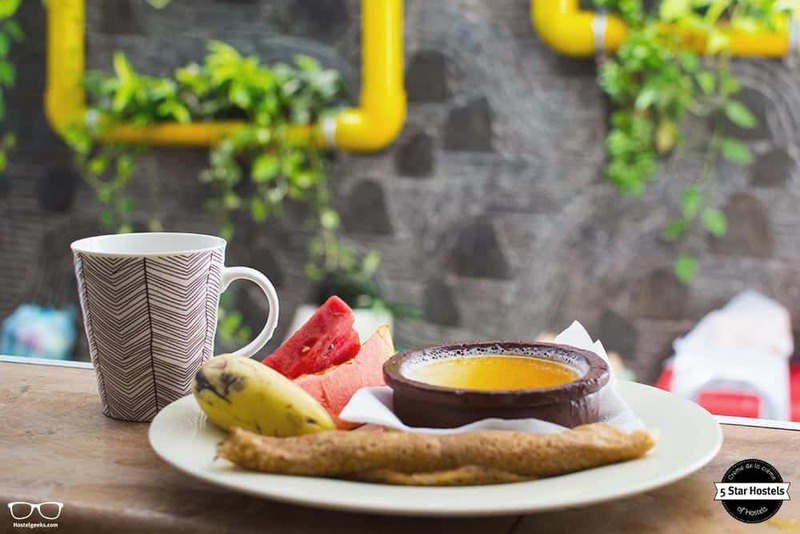 Beloved by modern citizens and visitors, Café Kumbuk offers not only healthy, tasty food but also sustainable products. They also offer yoga classes. One of the most beloved temples in the country, it’s decorated with wonderful brass-work, stone carvings, and other Buddhist art. 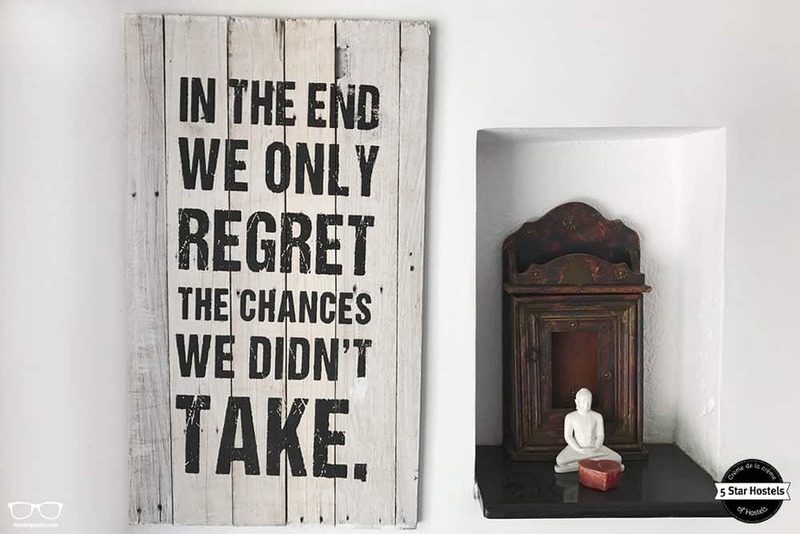 You’ll be surprised how many Buddha statues you can find it. It’s also a place of learning, and even houses a museum, complete with a residential hall. The colors from the sunset are simply stunning. Just make sure the day isn’t cloudy, so you can enjoy the colorful show at the fullest. 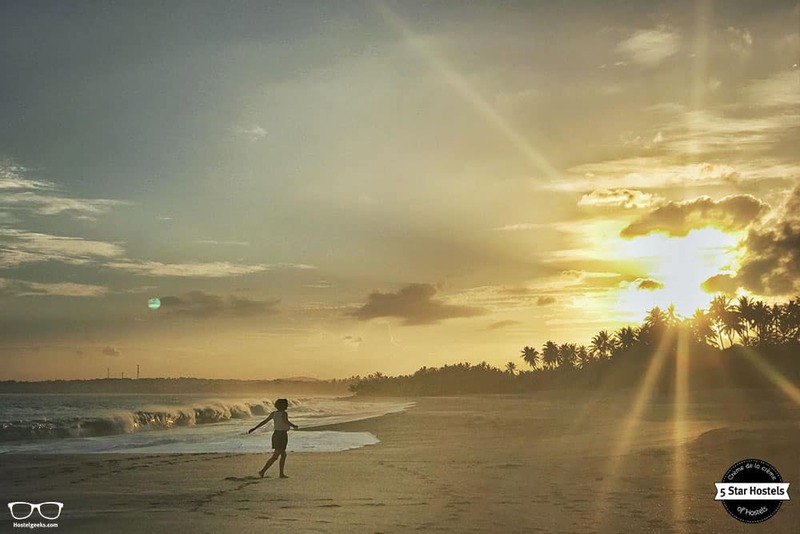 The photo was taken in Tangalle, but just have a look how beautiful sunsets in Sri Lanka are. Visit the local Pettah Market and the nearby shops. It’s said that one of the best ways to get to know a city is by visiting its local market. Pettah Market is also one of the best places for street photography and people portraits. 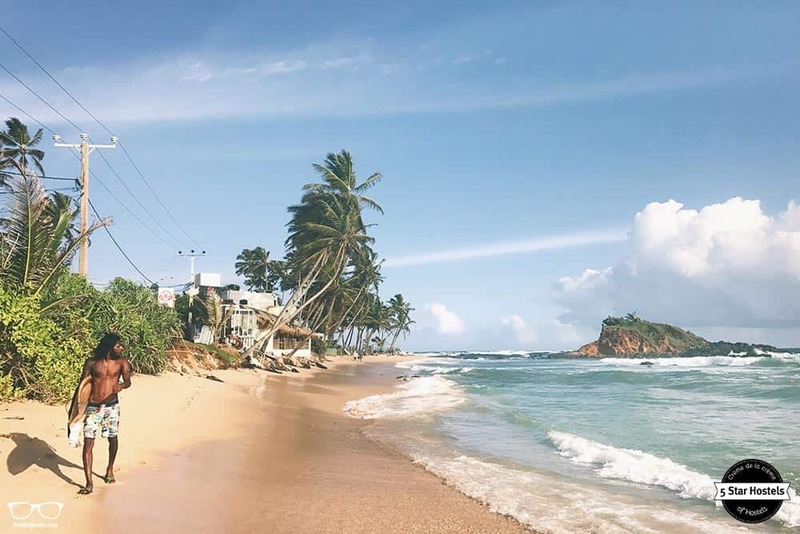 You might be wondering, “What are the best places to visit in Sri Lanka,” right? Well, we’ve rounded up some of them here for you. These are the top 10 places that made our Sri Lanka trip very special. If you want some local recommendations and to get off the beaten track, just ask the Bunkyard team. They will be very happy to help you organize your trip, and you’ll get great insider tips. 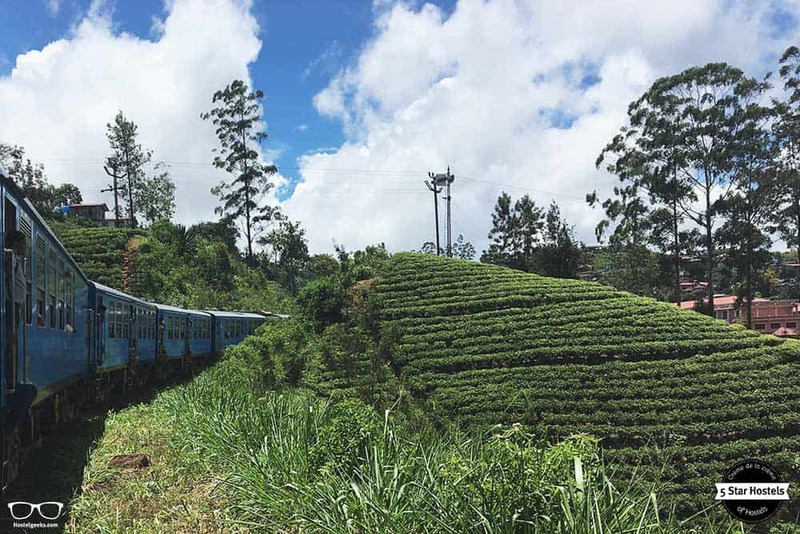 It’s one of the most scenic train rides in the world, and takes you through tea plantations, green landscapes, and an unforgettable train experience if you ride in third class. 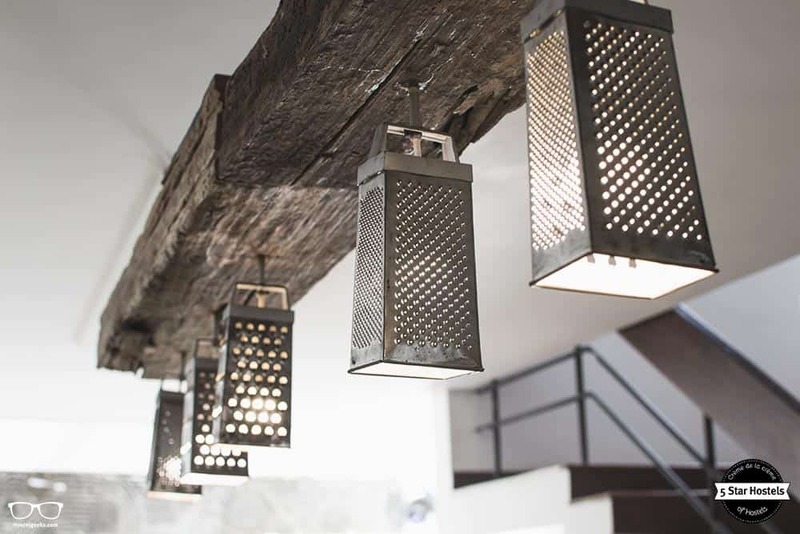 In Kandy, you have another 5-Star Hostel, the Clock Inn Kandy – coming soon. We recommend staying with them. You can read our full review about Clock Inn Kandy here. They can help you to organize your train tickets if you need. 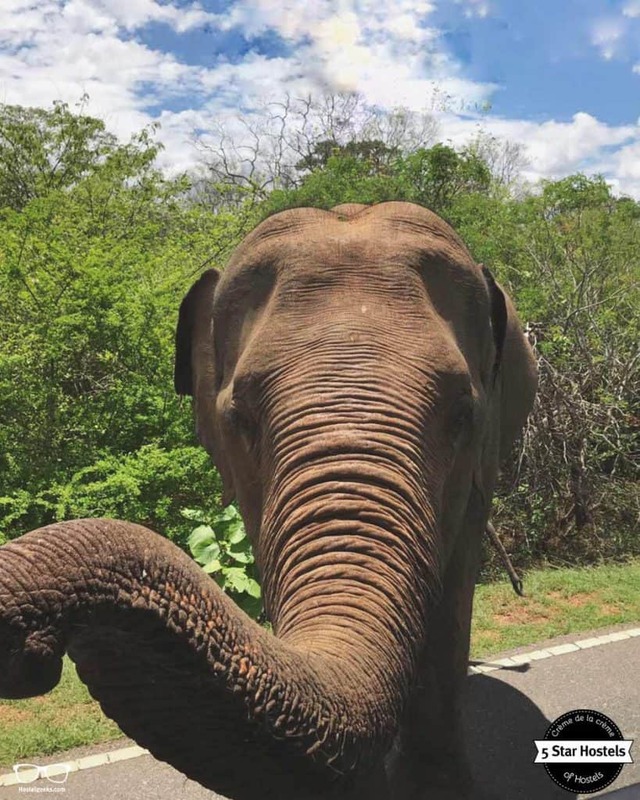 Sri Lanka is a country with many wild animals. Among the animals you can see walking free around the safari areas include: buffaloes, elephants, snakes, thousands of different birds species, and majestic leopards. The best place to spot a leopard is at Yala National Park. If you happen to go there, we do recommend you to stay Richard Cabanas. They’ll organize a private safari for you for around 15000LKR (price for 2 people). 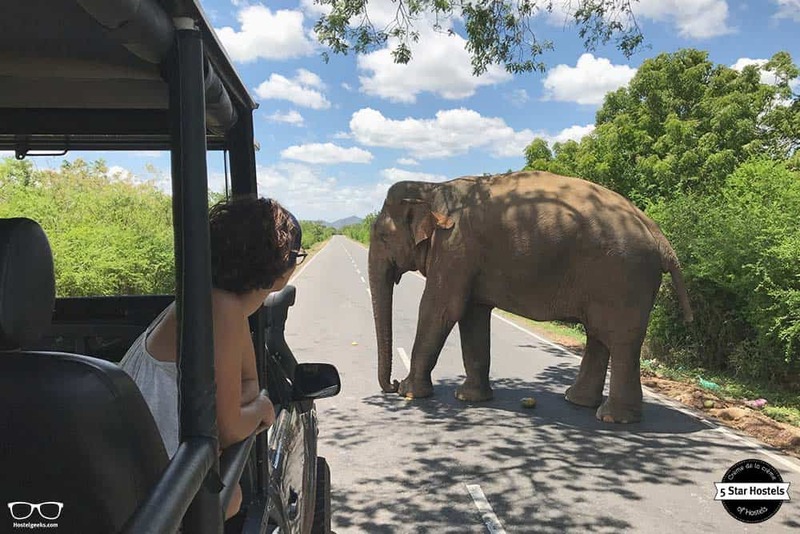 We met a couple in Tissa, the safari area around Yala, that told us they got a cheaper price for their safari tour…but they were sharing the same Jeep with 8 people, so I think we got a pretty cool deal. Ask if you will have a private or shared Jeep when discussing prices for a safari experience. 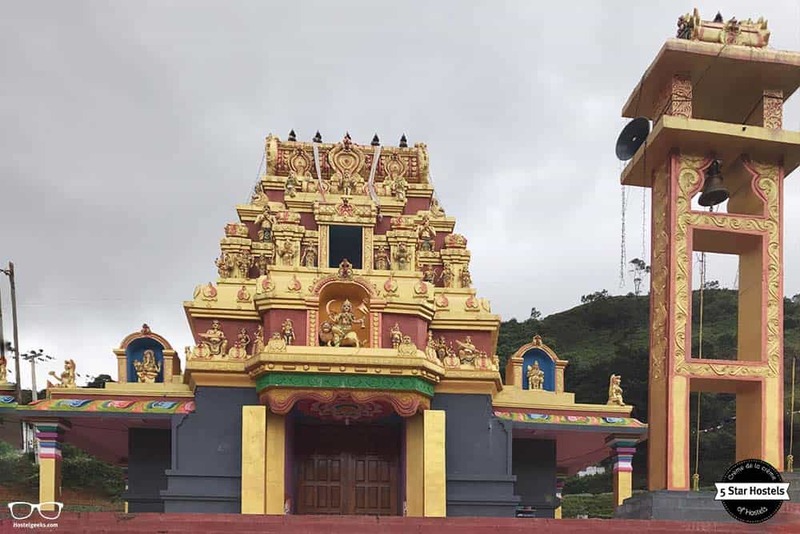 Temples in Sri Lanka are different from temples in Thailand or Indonesia. Each of the temples offers a fascinating insight into Sri Lankan culture, and although some of them are over a thousand years old old, the ruins and pillars still evoke a sense of mystery and wonder for those who visit them. and the Temple of the Sacred Tooth Relic, in Kandy. Tip: if you want to avoid the crowds, don’t go on Poya day. Poya day happens once a month on same day as the full moon. As we just mentioned, the wildlife in Sri Lanka is incredible – even underwater! 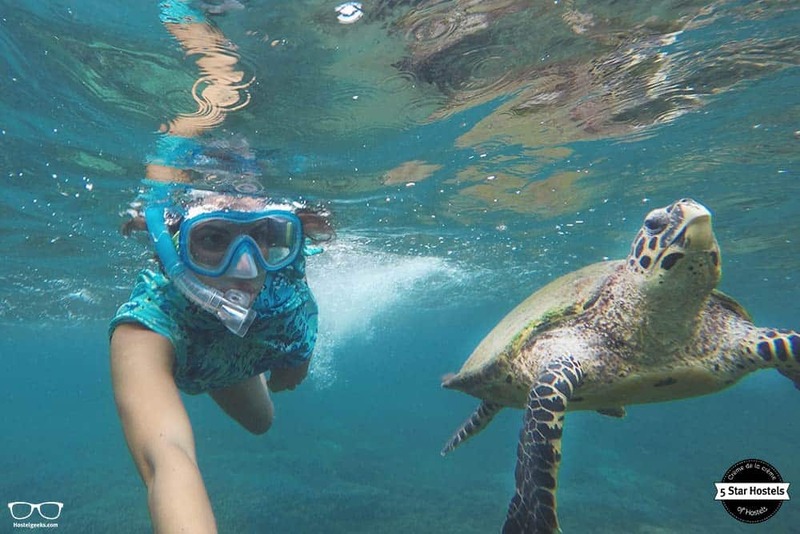 Colorful fishes, turtles… are the usual underwater friends in Pigeon Island. Go diving on Trincomalee, snorkel on Pigeon Island, or take a day trip to spot some whales. Bear in mind that Sri Lanka has tropical weather. That means whales move around during the year. Make sure you check where you can spot whales while you are in Sri Lanka. In case you didn’t know, Sri Lanka is a place where alcohol is hard to find. Therefore, if you want to party you have to know where you can go. 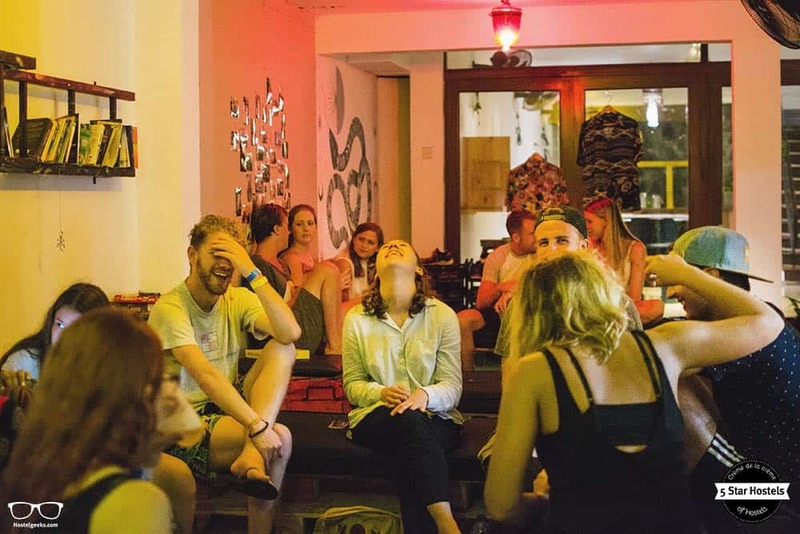 We recommend joining a party hostel. You can start the party at the hostel with your travel mates and then head to a club. The staff will let you know where the best clubs are. 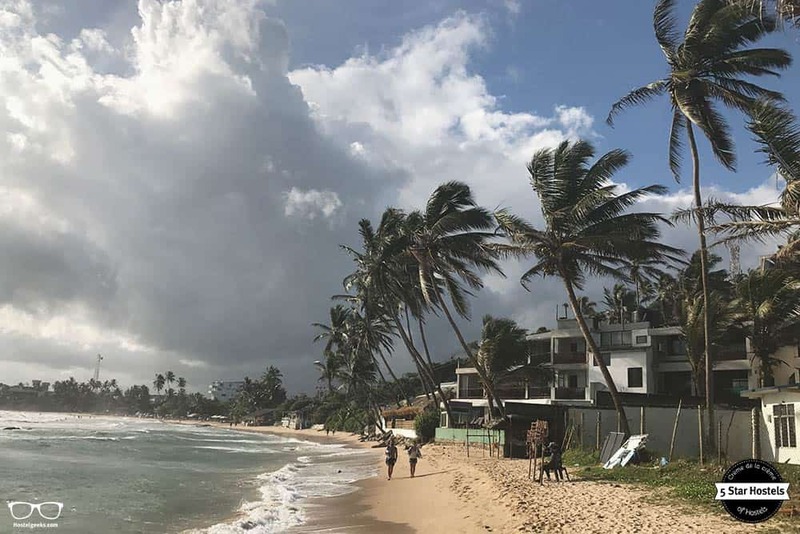 If you’re traveling to Sri Lanka as a beach destination, keep in mind that it’s a surf destination. Meaning, its beaches are wild, with big waves on the sea, rather than flat waters. This is perfect if you want to try surfing or go on a surf course. But it might be not so good if you’re traveling with children. For surfing, make sure you check out the Arugam Bay, Mirissa or Hikkaduwa areas. 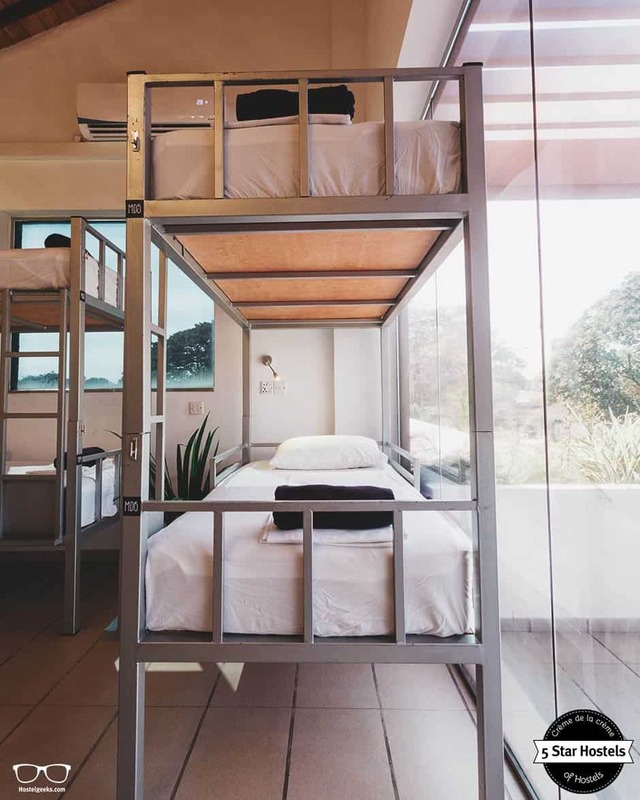 If you need any hostel recommendations for those areas, send us an email. Landscapes around Sri Lanka are quite stunning, with lots of vegetation, coconut trees and a wide range of plants. We suggest riding a scooter, or a tuk-tuk, as an experience. That way, you’ll get to travel the unbeaten path and met friendly and helpful locals. But don’t forget to pay attention to the road. There are still rural roads in Sri Lanka and you can find wild animals, such snakes, on your road experience. Hop on as many tuk-tuks you can (they are awesome!). 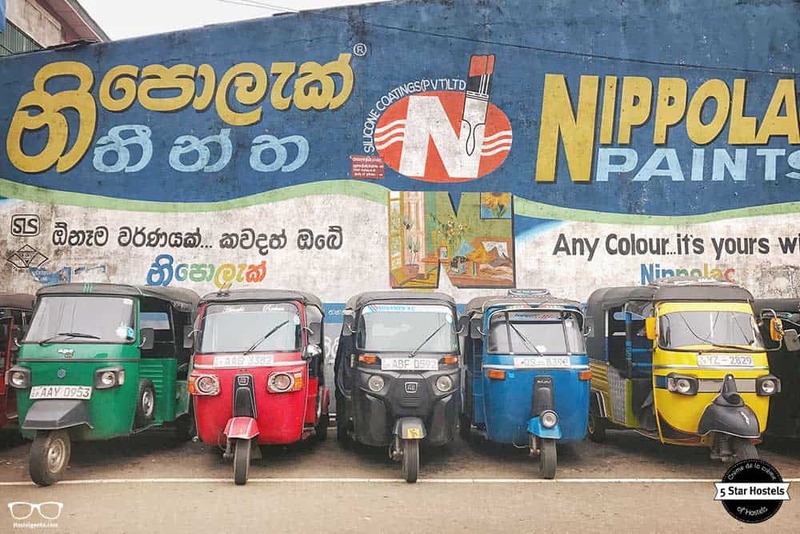 The tuk-tuk experience in Sri Lanka is a must. Don’t leave the country without trying them! If you don’t want to have the hassle of bargaining and discussing, simply download the app Pick Me. It’s a taxi application that lets you request tuk-tuks. You’ll also get an approximate price beforehand. Note: this app is doesn’t work in the whole country. I’m sure you’ve already seen some pictures o the views from Lion Rock. Locals go there as a pilgrimage, while tourists normally just want to experience the views from the above. Bear in mind the Lion Rock costs around 30 US dollars to enter. If you want a similar but cheaper experience, climb the rock in front of Lion Rock, Pidurangala. It was around 2$. 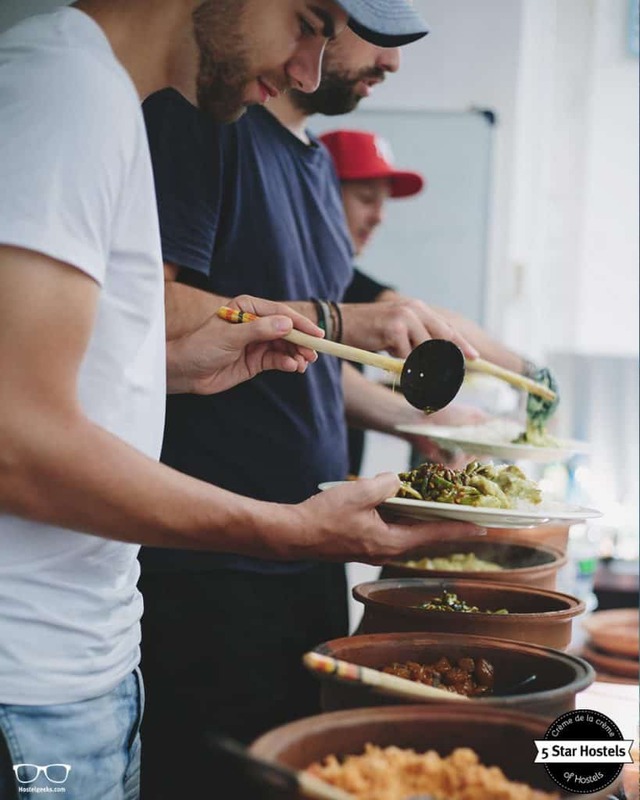 If you really want to eat like a local, you’ll have to get your hands dirty. Yes, Sri Lankan people eat with their hands. 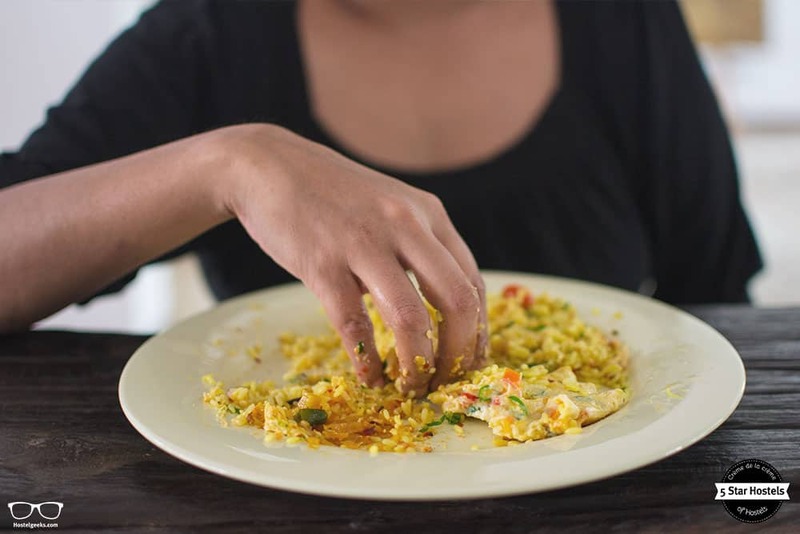 If you want to be loved by locals, use your hands to Sri Lankan curry. We’d love to see your photos or videos for the first time you try curry with your hand! Tag us on Instagram using #hostelgeeks. Admiring the tea plantations from your train ride is a great experience, but visiting one and learning about their production process and rituals is even better. Make sure you visit a tea plantation. The most beautiful one we found was in Haputale. There, you can also go see the sunrise at Lipton’s Seat, an incredible experience, especially if it’s a sunny day. 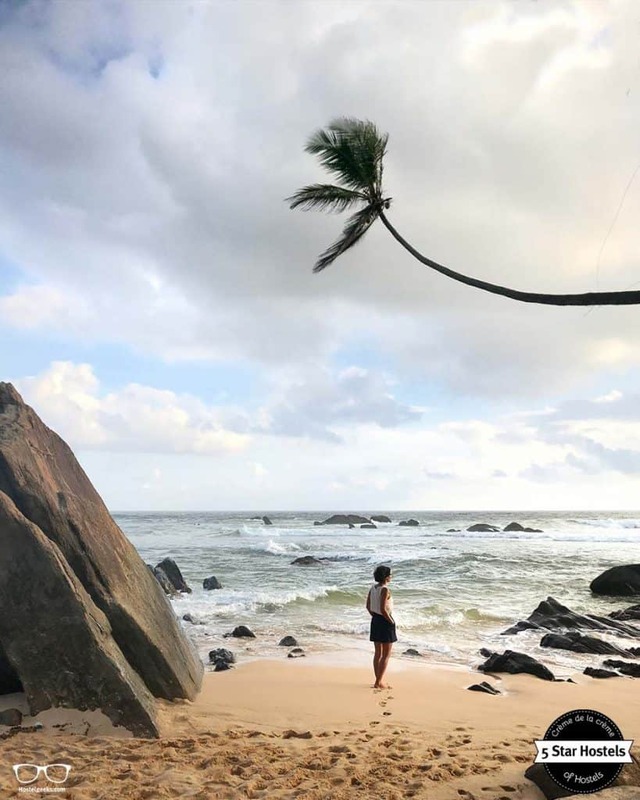 These are just 10 must see places to visit in Sri Lanka. We do also recommend to go out off the tourist track. That way, you will experience the local culture. Do you think we missed any must see place? Please please bother us and comment it below, we would love to add it. 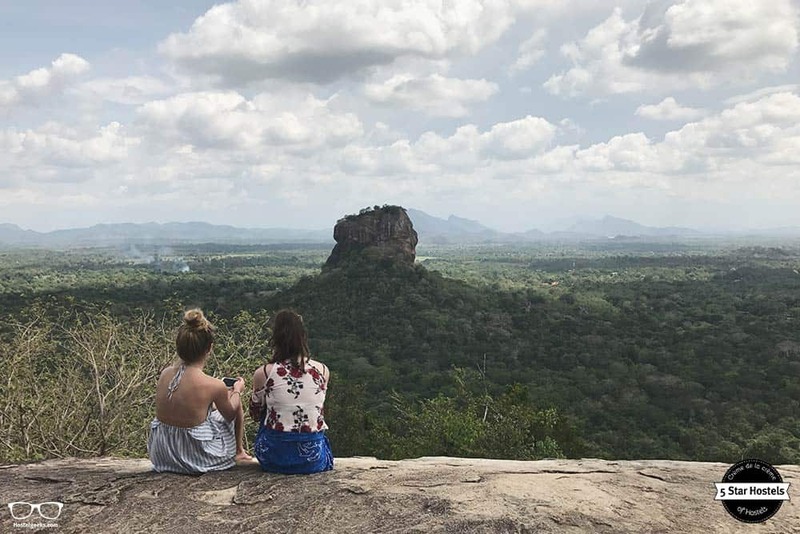 This list should cover all the amazing things to do in Sri Lanka, so don’t be shy, say hi and help us and your fellow travel mates! Still looking for cheap flights to Sri Lanka? Read our kiwi review, our last booking hack to find cheap flights anywhere in the world. We just gave you the perfect hostel and a wonderful country that is worth it every penny and every second you can afford. Fancy a promo code for Bunkyard? Who doesn't?! Now, there is no easy way to say this: Currently we do not have a valid discount for Bunkyard. 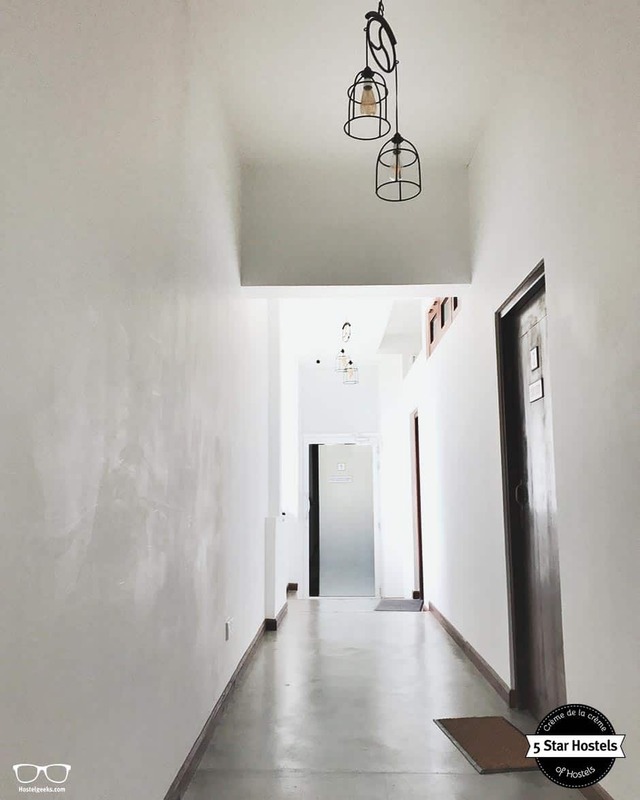 We are working on getting more promotional codes for Bunkyard in Colombo and all the other top hostels we reviewed for you. You were looking for the absolute BEST hostels in Colombo? You just found it! 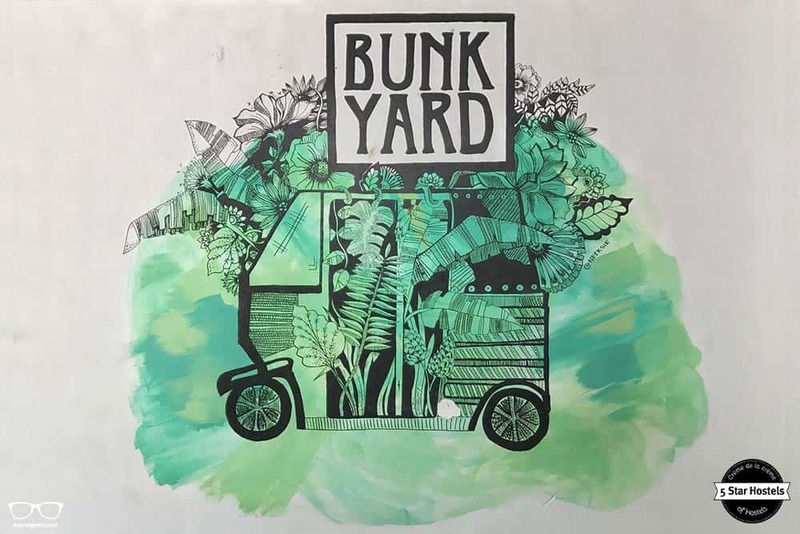 Bunkyard is the top place we recommend to our friends, family and to you! 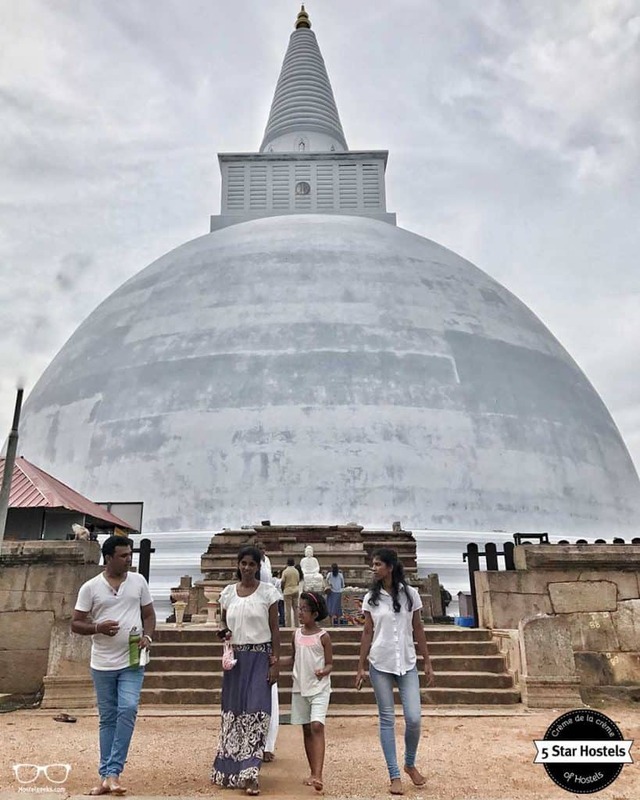 Update April, 2019: How to find flight deals to Colombo? Still looking for cheap flights to Colombo? We LOVE Kiwi.com. 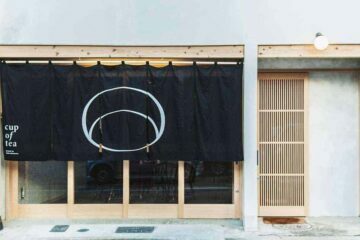 You can search here with a so-called "radius search". It is incredible easy to find sweet flight deals to Colombo and area.